The pictures are in a numerical order. 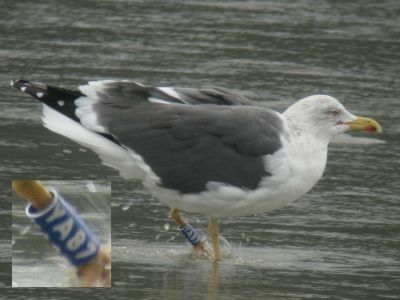 Y040 was ringed as a chick at Garðaholt, SW-Iceland, on 5 August 2003 by Hallgrimur Gunnarsson. The picture is taken 22 November 2007 at Tan Tan Plage, Morocco. 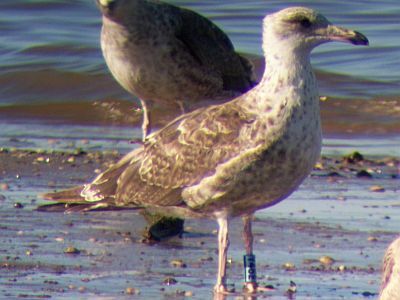 Y041 was ringed as a chick at Garðaholt, SW-Iceland, on 5 August 2003 by Hallgrimur Gunnarsson. The picture is taken 23 February 2008 at Pantín beach, Valdovino, Coruna, Spain. 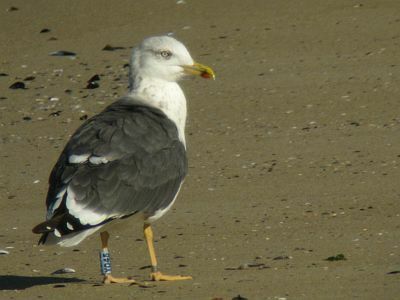 Y045 was ringed as a chick at Garðaholt, SW-Iceland, on 5 August 2003 by Hallgrimur Gunnarsson. The picture is taken 7 November 2007 at Meirás beach in NW-Spain. 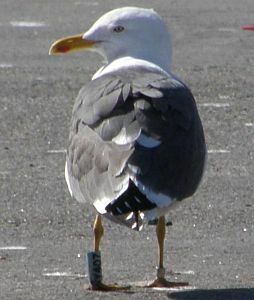 Y260 was ringed as an adult in Sandgerði, Reykjanes Peninsula, SW-Iceland, on 18 May 2007 by Gunnar Thor Hallgrimsson. The picture is taken 3 February at Pinto, Madrid, Spain. 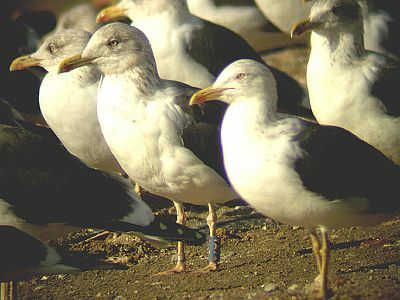 Y299 was ringed as a chick at Garðaholt, SW-Iceland, on 28 July 1999 by Ólafur Torfason. 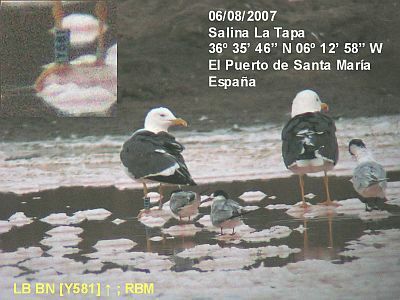 The picture is taken 7 May 2004 at Pantin beach NW-Spain. 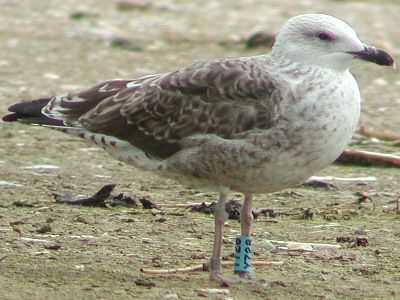 Y331 was ringed as a chick at Garðaholt, Garðabær, SW-Iceland, on 24 July 1999 by Ólafur Torfason. 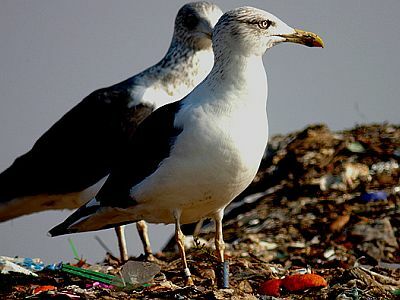 The picture is taken on 3 April 2006 at Gloucester landfill site, England. 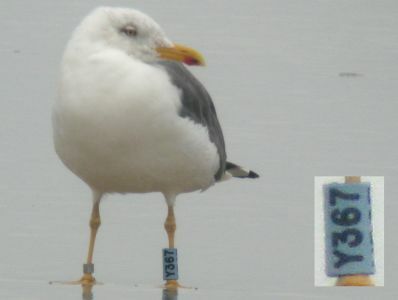 Y367 was ringed as a chick at Garðaholt, Garðabær, SW-Iceland, on 23 July 1999 by Hallgrimur Gunnarsson. The picture is taken on 9 October 2007 at Pantín beach, Valdovino, Coruna, Spain. 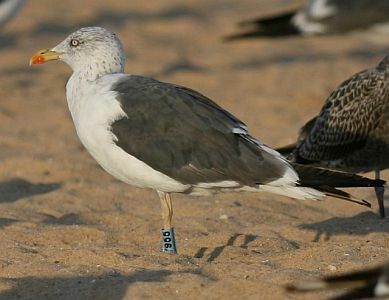 Y367 was ringed as a chick at Garðaholt, Garðabær, SW-Iceland, on 23 July 1999 by Hallgrimur Gunnarsson. The picture is taken 27 February 2008 at Pantín beach, Valdoviño, A Coruña, NW Spain. 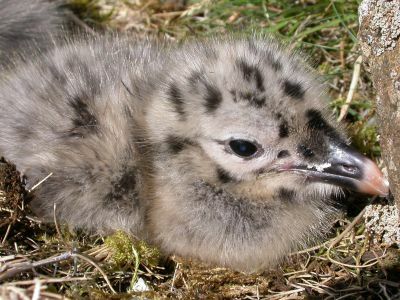 Y407 was ringed as a chick at Garðaholt, SW-Iceland, on 31 July 1999 by Hallgrimur Gunnarsson. 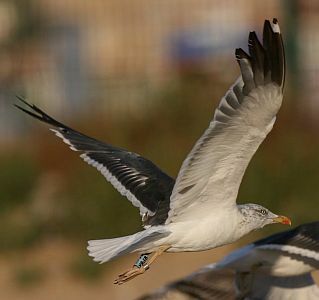 The picture is taken on 23 March 2008 at Portimao, Algarve, Portugal. 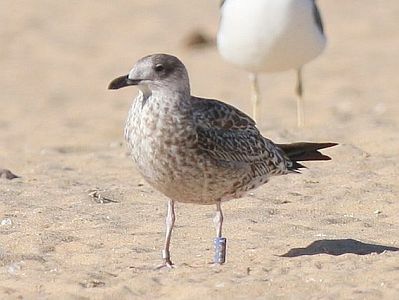 Y452 was ringed as a 1 c.y. at Hafnarfjörður, SW-Iceland, on 2 September 2005 by Gunnar Thor Hallgrimsson. The picture is taken on 29 July 2006 at Portimao, Algarve, Portugal. 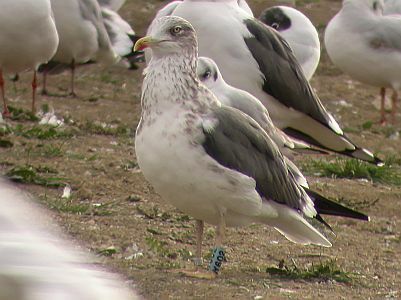 Y522 was ringed as a chick at Gardaholt, SW-Iceland, 4 August 2004. The picture is taken on 21 November 2004 at Foz Harbour, Foz, Lugo, NW Spain. 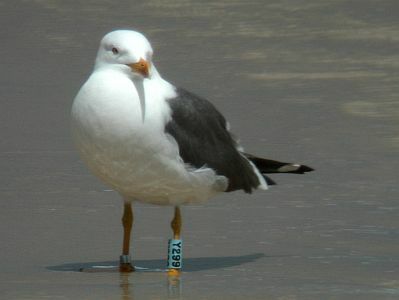 Y581 was ringed as a chick at Miðnesheiði, Reykjanes Peninsula, SW-Iceland, on 1 August 2002 by Hallgrimur Gunnarsson. The picture is taken 6 August 2007 at El Puerto de Santa María, Spain. 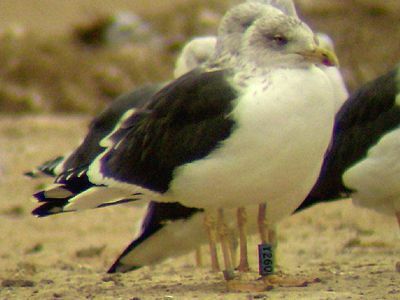 Y602 was ringed as a chick at Selskarð, SW-Iceland, on 13 July 2000 by Hallgrimur Gunnarsson. The picture is taken 21 January 2007 at Pinto, Madrid, Spain. 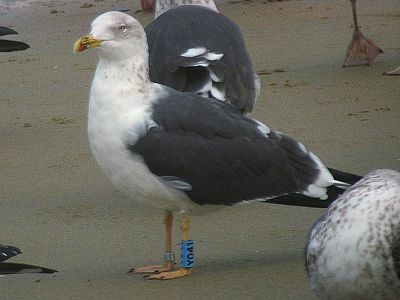 Y653 was ringed as a chick at Garðaholt, SW-Iceland, on 2 August 2001 by Ólafur Torfason. The picture is taken 28 February 2008 at Pantín beach, Valdoviño, A Coruña, NW-Spain. 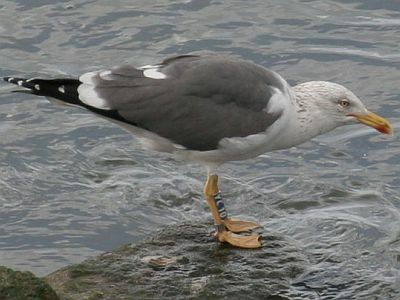 Y653 was ringed as a chick at Garðaholt, SW-Iceland, on 2 August 2001 by Ólafur Torfason. The picture is taken 29 February 2008 at Pantín beach, Valdoviño, A Coruña, NW-Spain. 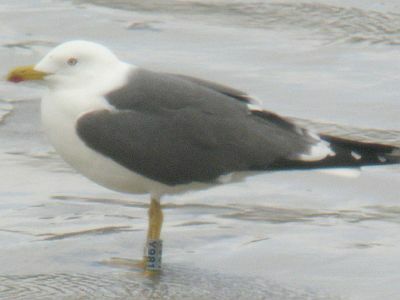 Y728 was ringed as a chick at Miðnesheiði, Reykjanes Peninsula, SW-Iceland, on 12 August 2001 by Ólafur Torfason. The picture is taken 12 August 2002 at Fanö, Denmark. 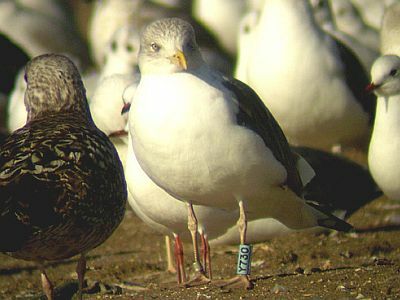 Y730 was ringed as a chick at Miðnesheiði, Reykjanes Peninsula, SW-Iceland, on 12 August 2001 by Ólafur Torfason. The picture is taken 19 August 2007 at Colmenar Viejo, Madrid, Spain. 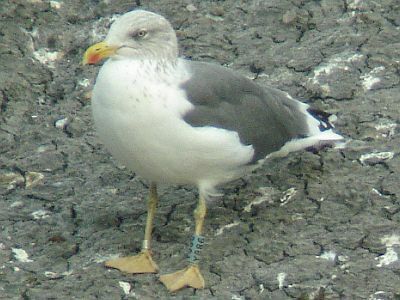 Y730 was ringed as a chick at Miðnesheiði, Reykjanes Peninsula, SW-Iceland, on 12 August 2001 by Ólafur Torfason. The picture is taken 4 January 2008 at Pinto, Madrid, Spain. 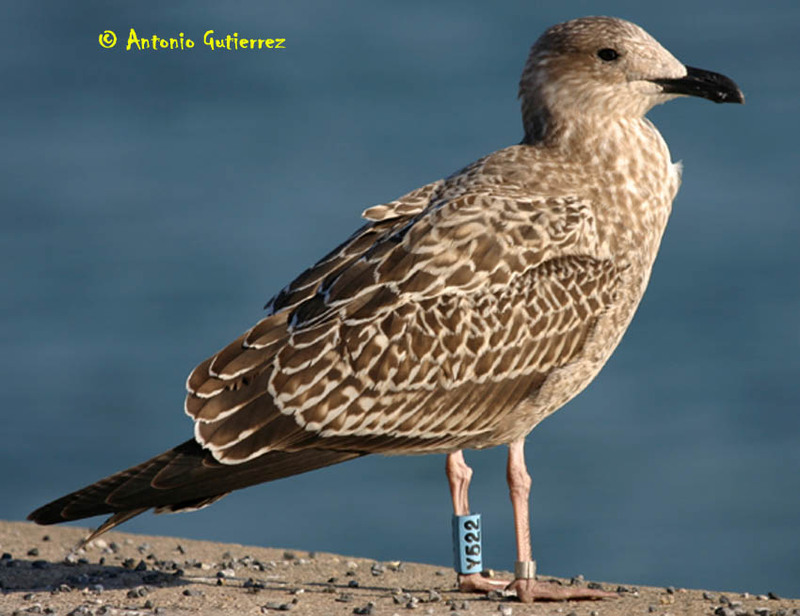 Y886 was ringed in SW-Iceland on 25 August 2001 by Hallgrimur Gunnarsson. 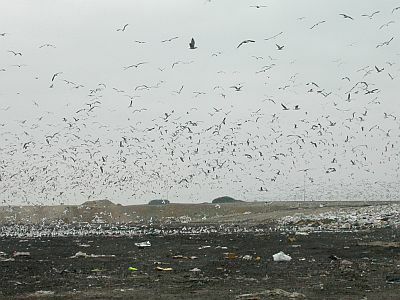 The picture is taken 7 November 2007 at Stoke Orchard landfill, England. 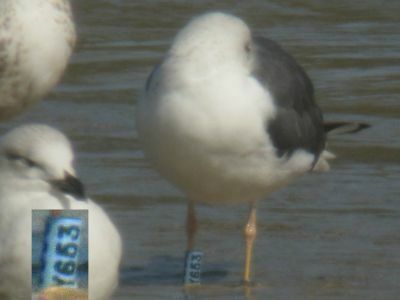 Y955 was ringed as a 1 c.y. at Hafnarfjörður, SW-Iceland, on 11 August 2002 by Ólafur Torfason. The picture is taken 13 September 2006 at Quarteira, Portugal. 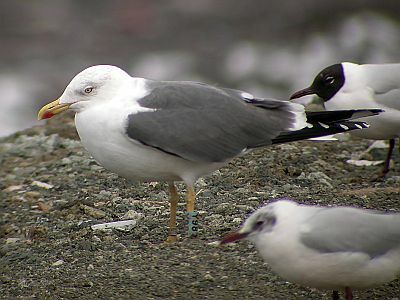 Y981 was ringed as an adult at Sandgerði, Reykjanes Peninsula, SW-Iceland, 20 July 2004 by Gunnar Thor Hallgrimsson. The picture is taken on 26 February 2006 at Pinto, Madrid, Spain. 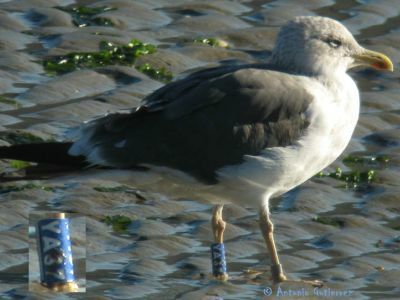 Y981 was ringed as an adult at Sandgerði, Reykjanes Peninsula, SW-Iceland, 20 July 2004 by Gunnar Thor Hallgrimsson. The picture is taken on 22 March 2008 at Pantín beach, A Coruña, Spain. 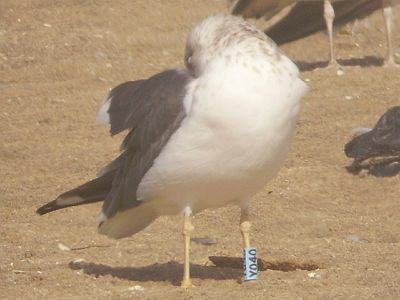 YA28 was ringed as a chick at Miðnesheiði, Reykjanes Peninsula, SW-Iceland, on 8 August 2007 by Gunnar Thor Hallgrimson. The picture is taken 11 December 2007 at Quarteira, Algerve, Portugal. YA74 was ringed as a 3 c.y. at Sandgerði, Reykjanes Peninsula, SW-Iceland, on 21August 2007 by Gunnar Thor Hallgrimson. The picture is taken 4 January 2008 at Pinto, Madrid, Spain. Note that the white digits on the colour ring look reddish because of dirt! 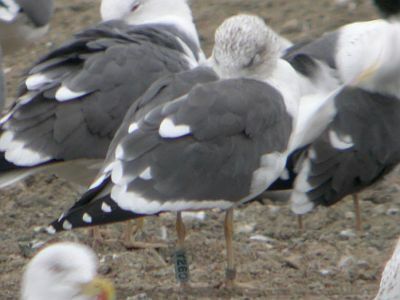 YA87 was ringed as an adult at Sandgerði, Reykjanes Peninsula, SW-Iceland, on 27 August 2007 by Gunnar Thor Hallgrimson. The picture is taken 2 November 2007 at Cedeira Beach, Cedeira, A Coruña, Spain. 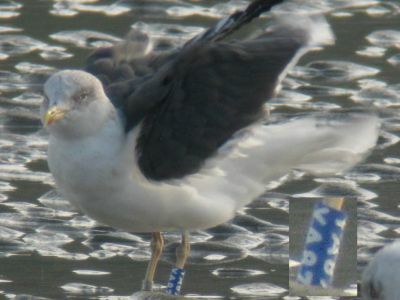 YA87 was ringed as an adult at Sandgerði, Reykjanes Peninsula, SW-Iceland, on 27 August 2007 by Gunnar Thor Hallgrimson. The picture is taken 30 January 2008 at Cedeira Beach, Cedeira, A Coruña, Spain. 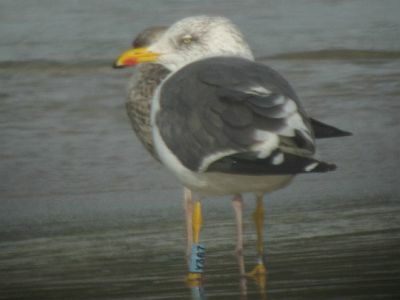 YA87 was ringed as an adult at Sandgerði, Reykjanes Peninsula, SW-Iceland, on 27 August 2007 by Gunnar Thor Hallgrimson. The picture is taken 29 February 2008 at Cedeira Beach, Cedeira, A Coruña, Spain. 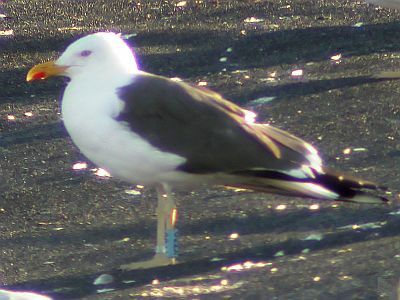 YC02 was ringed as an adult at Sandgerði, Reykjanes Peninsula, SW-Iceland, on 27 August 2007 by Gunnar Thor Hallgrimson. The picture is taken 24 December 2007 at Talavera, Madrid, Spain. 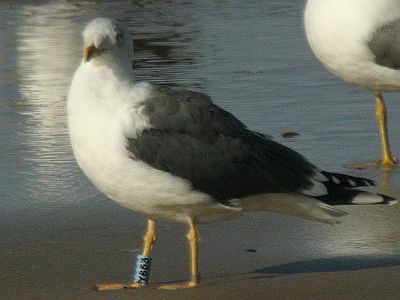 YC10 was ringed as an adult at Sandgerði, Reykjanes Peninsula, SW-Iceland, on 27 August 2007 by Gunnar Thor Hallgrimson. The picture is taken 9 March 2008 at Porto, Douro Litoral, Portugal. A large flock of gulls at Pinto, Madrid, Spain on 3 February 2008. 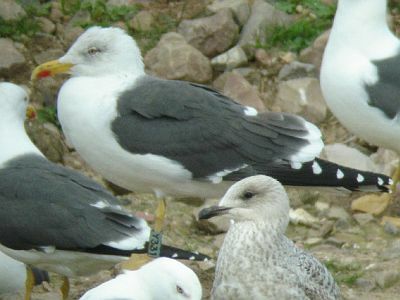 Some of the Icelandic Lesser Black-backed Gulls do winter in this area. 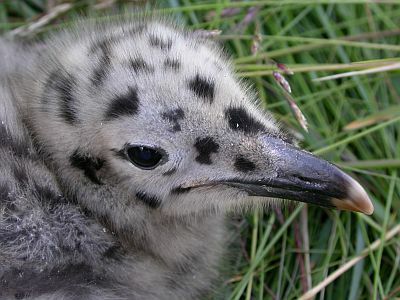 A Lesser Black-backed Gull chick at Miðnesheiði, Reykjanes Peninsula, SW-Iceland. This site is the largest breeding colony of this species in Iceland.